We all are aware of the fact that there is no healthier vegetable than broccoli. This plant’s health benefits are numerous, but do you really know which parts are edible, what kind of benefits they possess, and how to prepare them properly? Find out in this article. Most of us use only broccoli’s flower because it contains an abundance of antioxidants, calcium, magnesium and vitamins A, C, and E,. But what about broccoli’s leaves and stalk? Are they edible or not? The answer is yes, they are edible and full of health benefits. Maybe you did not know, but only 30 grams of broccoli leaves, which you probably throw away, contains 90% of the required daily doses of vitamin A, which is very important for improving the immune system and sight. In those 30 grams of leaves there are also 43% of the required daily dose of vitamin C, which helps when it comes to preventing cancer. Try preparing the leaves together with the flower. If you didn’t know about the leaves, you might be making the same mistake with the stalks. 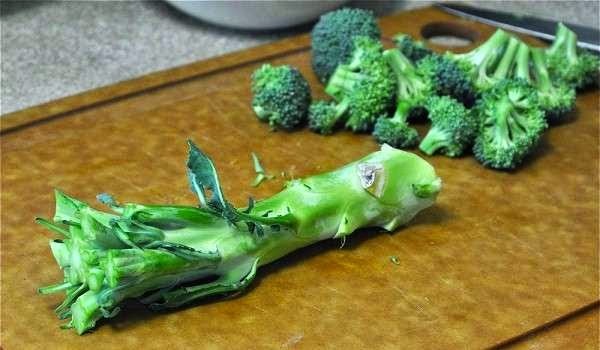 Broccoli stalks have a sweetish taste and contain more fiber than this plant’s flower. Since the stalks need more time to cook, start them before the rest of the vegetables. Broccoli is on the top on the list of natural healing plants. Just don’t forget you can eat every single part of it.